Since neither Punxsutawney Phil nor Staten Island Chuck (yes, he’s a real thing!) saw their shadows, we were guaranteed an early spring! As I gaze out my window at my snow covered lawn, I’m not so sure but I’m not gonna let a little snow get in my way. 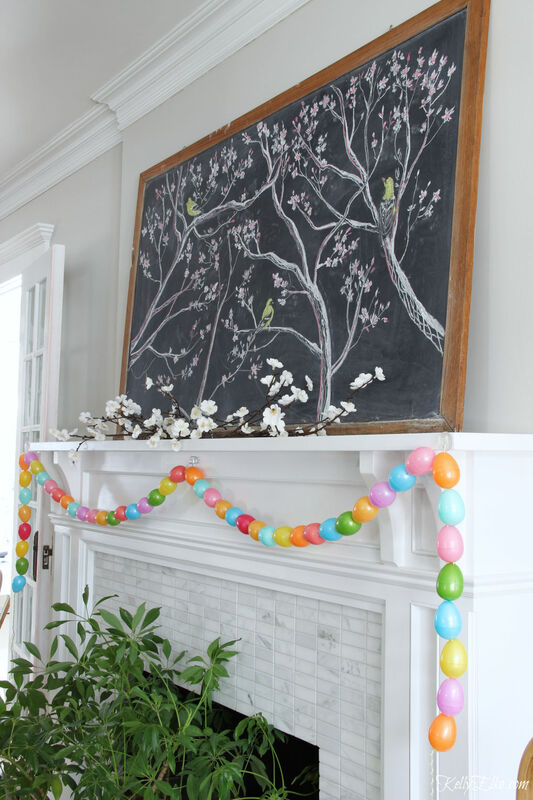 I’m bringing sunshine inside with my spring chalkboard mantel. 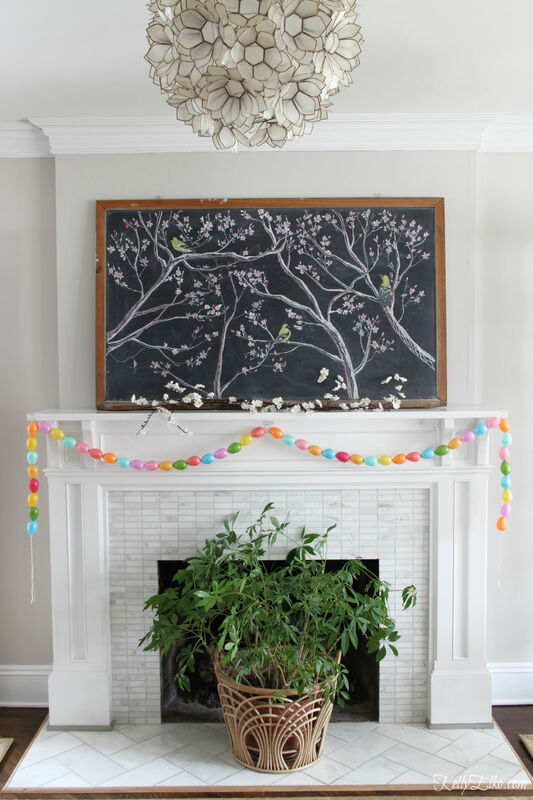 This giant chalkboard mantel may have been my best, and FREE, score ever! If you’re searching for your own, Etsy has a great selection of vintage chalkboards. I love changing out the art on this chalkboard for every season and I’ve even created free printables of them (get my Christmas chalkboard printable here and my fall chalkboard printable here). 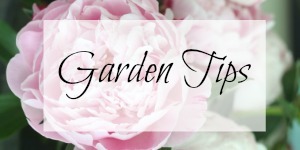 Stay tuned because I’m going to turn this spring art into a free printable too! 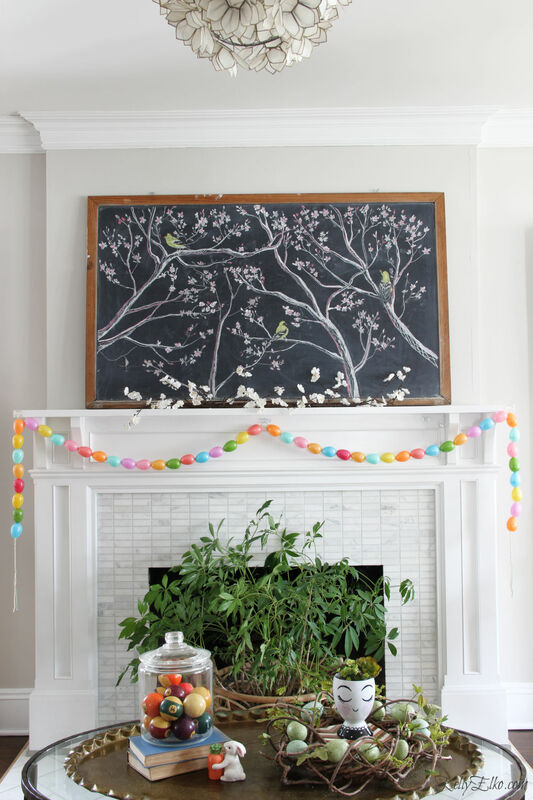 With a statement making chalkboard like this, my mantel doesn’t need much else. I do love covering the black hole of my fireplace and this huge plant is the perfect disguise. 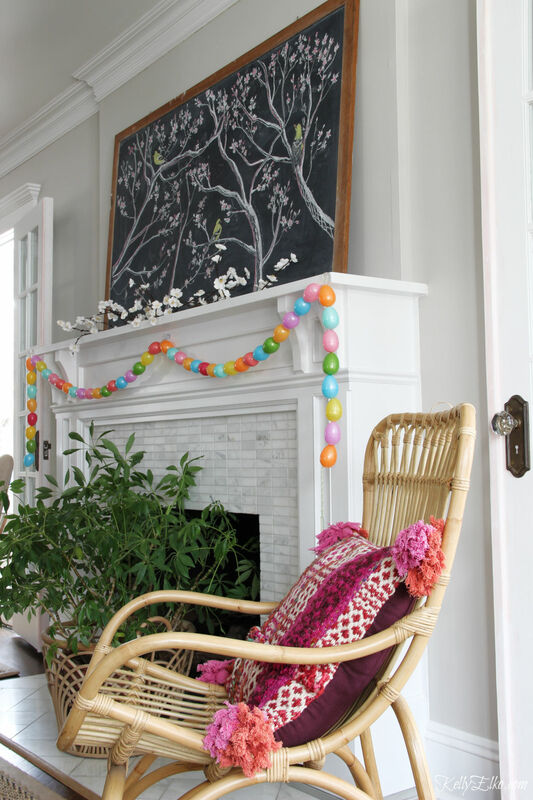 A rattan basket is the perfect light and airy planter. Best part … the plant was free too! I got it on Facebook Marketplace. 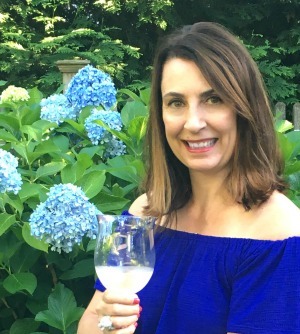 Don’t miss my tips on making money in Facebook buy and sell groups. I’m not normally a fan of faux flowers but these white blossoms look so lifelike and they are perfect for adding a little dimension to the mantel. 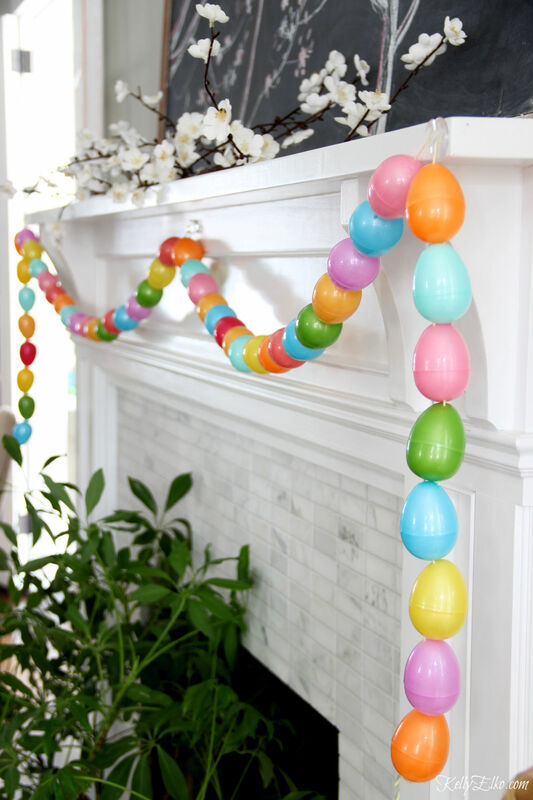 I love the bright colors of this garland I made years ago and I share how to make the egg garland here. 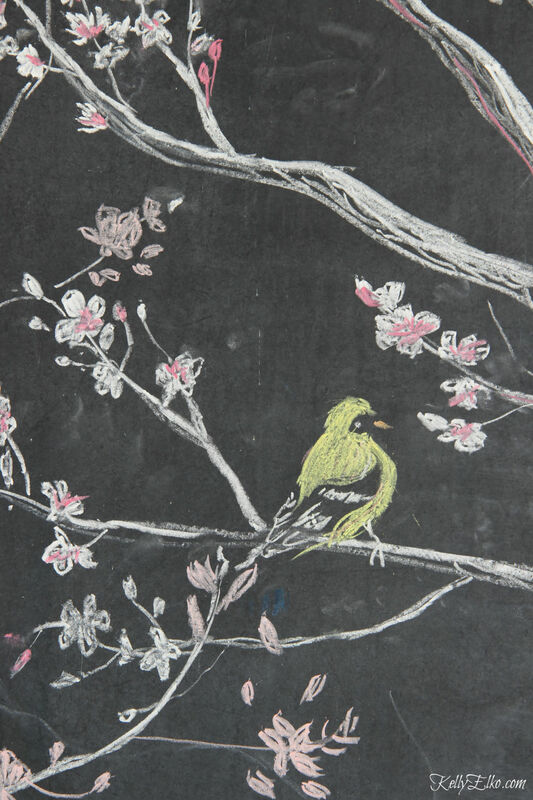 Magnolia blossoms and yellow finches scream spring. I love the fresh look of my living room with lots of blues and greens with a touch of hot pink, real plants, rattan and fun accessories. Hoppy Spring! Now if this snow would just melt. « Previous: 52 Weeks of Yes! I love all the color, birds and flowers, faux or not they still make it seem like spring. I can hear those birds singing! Happy first day of spring Marlene! I truly admire your drawing ability. You are very talented. 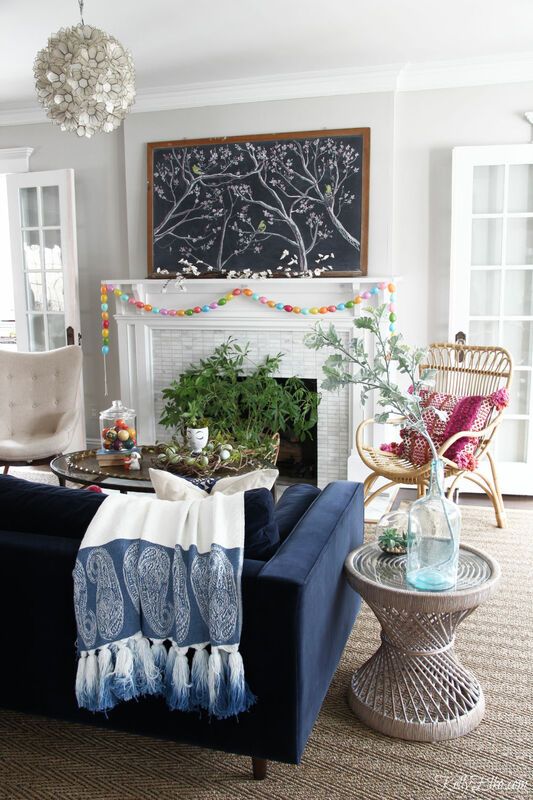 I love your chandelier against your Spring mantel. It pulls everything together. I love it all! I wish I drew this – my friends daughter did!